Scammers are increasingly targeting older people, with many of the crimes they commit involving bank account fraud or the selling of bogus or unsuitable investments. Although cold calling is to be banned, the elderly can still be contacted in other ways, so it’s important that their interests are protected. According to the Alzheimer’s Society, 850,000 people in the UK are living with dementia, with numbers expected to rise to over one million by 2025. The advice from charities caring for the elderly is that everyone should plan for a time when they might not be able to make important decisions about their finances or welfare. LPAs have become much more common in the last decade, not least because TV finance guru Martin Lewis has said that although he’s only in his 40s, he has taken this step, and believes everyone should think about using LPAs to safeguard themselves and their families. LPAs are designed to protect you if you lose the ability to make financial or care decisions on your own behalf. Making an LPA allows you to choose someone you know and trust, called your ‘attorney’, to make important decisions should you be unable to do so. 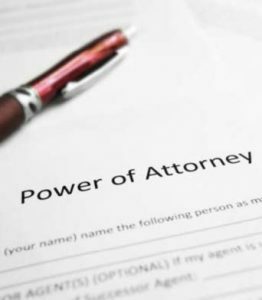 With a Property and Financial Affairs LPA, your attorney has the power to make decisions about money matters on your behalf if you are unable to do so. This includes financial transactions like running bank accounts, accessing and managing pensions and funds in drawdown, paying bills and selling property. adviser. Without an LPA in place, if you were to lose mental capacity, your friends and family wouldn’t have the automatic legal right to step in and take decisions on your behalf. Instead, they would need to apply for Deputyship to the Court of Protection, an expensive and time-consuming process. A little forethought could prove hugely beneficial. If you’re looking to set up an LPA for someone living in Scotland, aspects of the agreement and document differ to the one for England and Wales. It is important to take professional advice before making any decision relating to your personal finances. Information within this blog is based on our current understanding of taxation and can be subject to change in future. It does not provide individual tailored investment advice and is for guidance only. Some rules may vary in different parts of the UK; please ask for details. We cannot assume legal liability for any errors or omissions it might contain. Levels and bases of, and reliefs from taxation, are those currently applying or proposed and are subject to change; their value depends on the individual circumstances of the investor. The value of investments can go down as well as up and you may not get back the full amount you invested. The past is not a guide to future performance and past performance may not necessarily be repeated. If you withdraw from an investment in the early years, you may not get back the full amount you invested. Changes in the rates of exchange may have an adverse effect on the value or price of an investment in sterling terms if it is denominated in a foreign currency. © Copyright Inspire Financial Planning Limited 2019.